Joan Fontcuberta is a prolific photographer, social critic, conceptual artist, guru of Post-Photography as well as the recent winner of the prestigious Hasselblad Award. It is therefore somewhat surprising that he is not exhibiting in an art gallery but rather in a science museum. 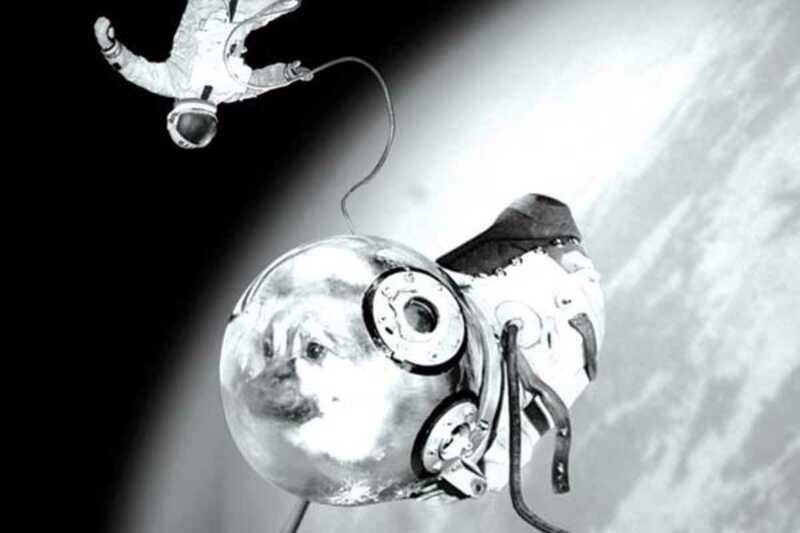 His current exhibition, ongoing at the CosmoCaixa, Sputnik: the Odyssey of the Soyuz II, narrates an alleged disaster in the Soviet space program. In October 1968, Colonel Ivan Istochnikov, along with a dog named Kloka, mysteriously disappeared during the space flight of the Soyuz II, apparently struck by a meteor. During the Cold War, the US and the USSR were engaged in a space race to the Moon, with neither side willing to show any weakness. So the Soviets unfairly eliminated any trace of Istochnikov from history: manipulating archives, retouching photos, even exiling his family to Siberia and blackmailing his colleagues to ensure their silence. Only years later, under Perestroika, were the documents finally declassified. And Fontcuberta has apparently made it his mission to reconstruct the truth of the Soyuz II mission and of poor Istochnikov’s fate. The tale has all the ingredients of a viral sensation. Maybe too many. I’ll limit myself to speculating that the exhibition is being shown in a science museum since Fontcuberta, acting as both artist and curator, is less concerned with bringing to light the story of a doomed astronaut and more interested in encouraging critical thinking as the basis for scientific knowledge – and, above all, in stoking the debate on truth in photography.